The law is not a means to get right with God. It is a measurement that shows that on our own, we can never get right with God. 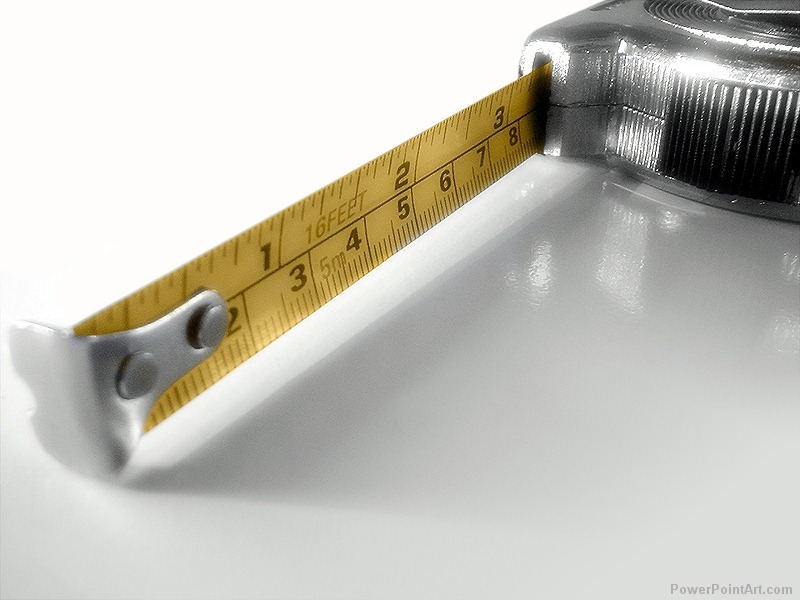 The good news is, we don’t have to measure up. 15 We who are Jews by birth and not “Gentile sinners” 16 know that no one is * justified by the works of the law but by faith in Jesus Christ.6 And we have believed in Christ Jesus so that we might be justified by faith in Christ7 and not by the works of the law, because by the works of the law no human being will8 be justified. 17 But if we ourselves are also found to be “sinners” while seeking to be justified by Christ, is Christ then a promoter9 of sin? Absolutely not! 18 If I rebuild the system10 I tore down, I show myself to be a lawbreaker. There is a word in this passage that we need to understand. The word is “justified.” We do occasionally use this word in every language. We might say, “My suspicions of that man were justified, because he turned out to be a criminal.” Or, “I was justified in taking that risk, because it worked out.” When we use the word in this way, what we mean is, “I have been proven right. My actions were good, reasonable and righteous.” When the Bible talks about being justified (or, “justification”) it usually means this: God approves of us. We are proven to be right and good in God’s eyes. These four verses talk about how human beings are justified in God’s eyes (and, how they are not justified). Paul says that no one gets God’s approval by works of the law. In this case, “law” means God’s objective, unchanging standard of holiness. God is holy – that is his nature. God’s holiness is, in effect, one of the basic laws of the universe, like the law of gravity, or the laws concerning the properties of light or matter. God’s holiness is so powerful that it destroys all un-holiness. Therefore, if you are unholy and you come into the presence of God, you will be destroyed. The “law” is simply a way for us to measure our holiness, to see if we can come into God’s presence or not. It tells us if we are holy or not. If we are not holy, God cannot approve of us. Instead, his nature destroys us. Picture a high jump – two upright poles with a crosspiece between them. The idea is, you have to jump over the crosspiece without knocking it down. The world record high jump is 2.45 meters, or about 8 feet. Now imagine a high jump with the bar set at sixteen feet, or five meters. The bar up there shows you exactly how high you need to jump. There is nothing wrong with the measurement. The measurement is accurate and correct. It is good. It would be terrific to jump that high. But the measurement simply shows you what you must do. It does not help you to do it. It cannot help you – that’s not what a measurement is for. So if the measurement shows you that you fall short, that’s not the fault of the measurement. It doesn’t mean the measurement is wrong or bad. It just shows you that you failed to reach the standard. The problem is not with the measurement, it is with you. The law simply shows us what holiness looks like. It provides a way for us to measure and see if we have reached it or not. The standard is what it is, because holiness is what it is. It is a law of God’s nature. And what the law shows us, is that we cannot reach the standard. We cannot be holy enough to be justified, to be proven right in God’s eyes. The law shows us that the standard is impossible. That is all that the law can accomplish. It shows us that we are not holy, that we are sinners. And every time you try and reach that standard, the law will show you the same thing again. Because of the sin of Adam and Eve, we were born without a chance. We were born with a congenital illness called sin, and the law shows us that we simply cannot overcome that. The law is not a means to get right with God. It is a measurement that shows that on our own, we can never get right with God. Justification is the process by which we are made holy, so that we can experience the presence of God. It doesn’t come through the law. It comes through Jesus. He kept the law – on our behalf. He suffered and died – as punishment for our failure to meet the holiness standard. All that is left for us to do is to trust that this is indeed true. The New Testament often uses the Greek word pistis and it is usually translated “faith.” I think perhaps a more helpful translation is “trust.” When we hear “faith” we often think it just means “belief.” But trust implies something more than just belief. Use your imagination for a moment. Imagine you have been working hard all day, pounding rocks with a sledgehammer, and then loading them into a backpack, moving those rocks a mile down the road, and then going back to pound and move another load. After a long exhausting day, you see a chair. A stranger, standing behind the chair, invites you to sit down and rest. You believe that the chair is really there. That’s belief, of a sort. Now, suppose you look at the chair more closely. You think it would probably hold you if you sat down on it. It’s hard to tell, but it may even be comfortable. That’s another kind of belief. But trust or pistis is to actually sit down in the chair. Your confidence in the chair leads you to put your weight on it, to trust it to hold you. That is what the New Testament means when it talks about faith. Some people believe that Jesus Christ was a real person; maybe they even believe he is still alive today. That’s belief, but it isn’t trust. Others believe that Jesus died for their sins. They believe that he could get them into heaven. That’s belief too, but it isn’t biblical trust. Trust is resting in Jesus, putting all your eggs into one basket, trusting that he has made you holy, and living daily with that trust. Now, we’ve talked about this before, but it is helpful to revisit. If the law is only to show that we fail, and all we have to do is trust Jesus, then what is wrong with sort believing that we are forgiven through Jesus, and then going off and doing whatever we want? We can’t be holy anyway, so why should we worry about whether or not we sin? Someone mentioned a few weeks ago that it’s interesting how we pray or sing “thank you for dying for me.” To be honest, we are often kind of flippant about it. We say it to Jesus with same kind of emotion we might say, “thanks for the coffee,” or “thanks for picking up lunch today.” I think the reason we do that is because we don’t truly understand or believe what Jesus has done. Imagine you were in a concentration camp during a war. An evil prison guard selects you to be executed. Another prisoner steps forward and says, “No. I’ll go instead. Kill me instead.” The guard accepts the offer. If someone really did that, truly took your place for execution, it would be a life-changing, life defining event. Not a day would go by without you thinking about it. The rest of your life would be shaped by the memory of how you were spared. It would affect your goals, your thoughts, even perhaps how you treat other people. You would want your life to be worthy of the one who gave up his own life on your behalf. Every once in a while you may meet someone, maybe a soldier, who was saved when someone else gave his life to keep them safe. When you meet such people, that story, about how they were saved, is often one of the first things they tell you about themselves. It irrevocably changes them. It leaves a mark. When we truly believe and trust that Jesus has given his life to make us holy, it leaves a mark. It is a life-changing, life-defining thing. If we really trust that it is true, it is hard to be flippant about it. If you really believed someone gave his life for you, you would realize that there is no way to ever repay that act. You might want to live a worthy life, to make your life count for something so that his was not wasted. But you would never get the idea that somehow you could repay that person or his family. You would simply have to accept that you have been given an incredible gift. In fact, it would be offensive to act as if you could somehow earn that gift, or as if you were inherently worthy enough for someone else to die for. The same is true if you go through life trying to be good to somehow earn forgiveness. You can’t earn the right for Jesus to die for you. There is no way you could do enough. You cannot be worthy of what God has done for you. All that is left is for you to accept it, or not. By the same principle, if we are living our lives to please ourselves, if we have no enduring sense of gratitude, no certainty that our lives have been defined by the event when Jesus offered himself up in our place, the problem is not that we are failing to live righteously. The problem is, if you live like that, you must not actually trust that Jesus has given his life for you. It isn’t real to you. You don’t really believe it. Paul says, the only thing is to trust Jesus. We have God’s approval when we cling in faith to what he has already done on our behalf. You can’t earn it. It is offensive for you to try. It’s offensive also when we refuse to let it change us or define our lives.